For over 70 years, Rolmaster partners have always received the most appropriate and cost effective solutions to solve both standard and unique material handling needs, in a timely, professional and friendly manner. 70% of Rolmaster sales and support staff maintain 15 to 27 years of industry experience; this relates to combined experience of 144 years. 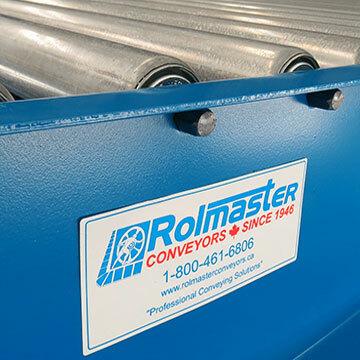 Rolmaster Conveyors have maintained mutually-beneficial working relationships with 43% of their supply chain partners for 10 or more years. Rolmaster Sustainable Competitive Advantage is its ability to offer the best service and most appropriate solutions at the best Canadian prices. Rolmaster’s sales philosophy is not bottom-line focused. Rolmaster nurtures long-term, mutually-beneficial relationships with an extensive network of supply chain partners. No top level or operational modifications are implemented without consideration as to how it will impact all Rolmaster Stakeholders. Rolmaster has been designing and manufacturing standard and highly customized systems for over 70 years. Rolmaster’s goal is to continually evaluate and diversify production and distribution options, enabling them to offer the most appropriate solutions at the best Canadian prices. Rolmaster continuously evaluates and modifies all internal and external processes and procedures to ensure effective communications and ensure that we are able to meet all needs, of all Stakeholders in the most appropriate and cost effective manner.